When you need dependable, friendly and knowledgable air conditioning services, trust the experts at A/C Contractors. We’re a locally owned air conditioning repair, maintenance and installation company with over 25 years of experience serving homeowners throughout the Longview and Tyler areas. We specialize in a wide range of air conditioning services including air conditioning system installations, thermostat upgrades, annual tune-ups and advanced, energy-efficient system improvements. As the leading and largest HVAC installation and repair company in Eastern Texas, we even offer exceptional customer services — including flexible financing options, free HVAC service estimates and product and workmanship guarantees. Has your air conditioning stopped functioning normally, or are you searching for better and more efficient cooling options? If so, rely on the professionals at A/C Contractors to help you find the most effective cooling solutions. 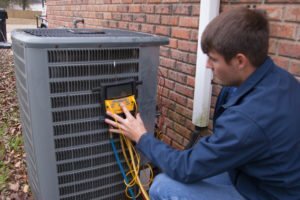 Our technicians are trained to use only the best techniques and tools to provide all local homeowners with the best air conditioning installation and repair services in Longview and the surrounding communities. With the most sophisticated cooling technology available today, A/C Contractors can provide you with air conditioning installations that will achieve more consistent and comfortable temperatures, use less energy and save on utility costs. We offer several of the best cooling solutions available, including central air conditioning systems, heat pumps and mini-split systems. All of our technicians are widely experienced and can work closely with you to find new air conditioning installations or replacement products that best accommodate your specific cooling needs, performance expectations and budget. 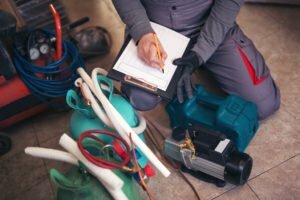 Whether you begin to notice odd sounds from your air conditioning system, your thermostat isn’t operating properly, or your cooling costs are rising, our skilled technicians can respond promptly to your repair request and work with you to quickly identify the issue and create an affordable and effective solution. 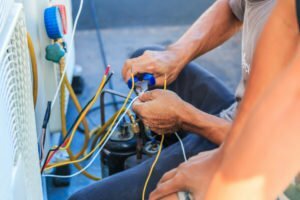 We can address any air conditioning repairs, large or small, including blown fuses or worn hardware, leaking units, frozen coils or warm air flowing. For all of our Longview and Tyler air conditioning repair services, our team uses only the highest-quality parts and equipment to guarantee long-term functionality. So you’re never without cool air for long during the hot Texas summer, we also offer 24-hour emergency air conditioning repair services. Keep your air conditioning system performing reliably and efficiently with routine maintenance courtesy of A/C Contractors. At least once per year, trust our trained team to thoroughly inspect, clean and service your system to ensure your air conditioning is performing efficiently and effectively. With regular maintenance performed by one of our professionals, you can reduce costly emergency repairs and prolong the life of your system. As needed, one of our team members will recommend repairs or system upgrades so you can maintain the best cooling performance possible. 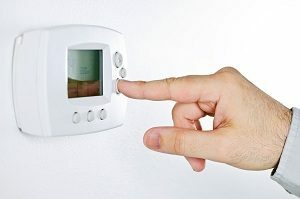 Your thermostat allows you to take control over your home’s cooling and heating system, and it can also work alongside other indoor air quality systems to keep air clean. The right HVAC thermostat can keep your home comfortable, reduce utility costs and increase your home’s energy efficiency. The technicians at A/C Contractors can install a digital thermostat that meets your family’s unique needs. When you need the best air conditioning repair and installation specialists throughout Longview and Tyler, TX, call on the friendly, dedicated experts at A/C Contractors. We pride ourselves on offering excellent service and affordable cooling solutions and upgrades for all of our local customers, including lifetime warranties on residential services, money-back satisfaction guarantees and free installation and repair estimates. 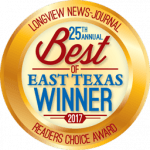 To schedule air conditioning services with Longview’s most trusted, Do-It-Right A/C guys, call us today at 903-218-8068.